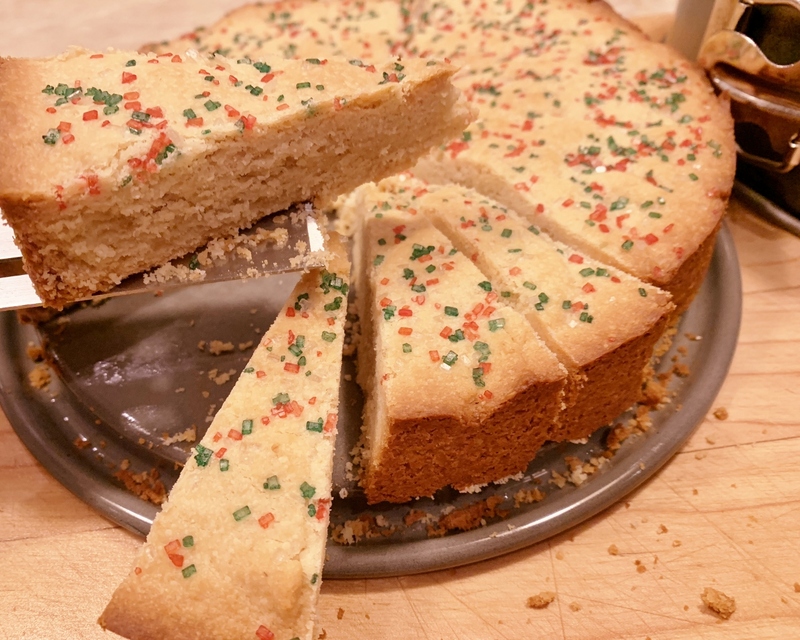 Oaty Holiday Shortbread - Recipe! - Live. Love. Laugh. Food. 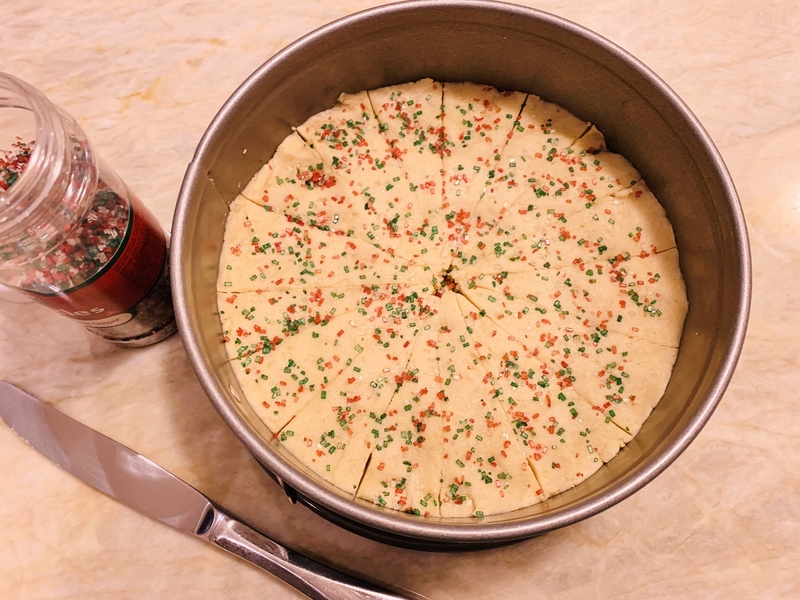 Oaty Holiday Shortbread – Recipe! Cookies are a big part of the Christmas season and no matter where you go during the month of December you see iced, cut-out or thumbprint creations everywhere. I enjoy this season because it’s about baking and even living in a hot climate like Los Angeles – I do love the smell of something warm rising in my oven. Cookies can be traditional or more exotic, whether you are trying to recreate something from your family’s heritage, or a whimsical masterpiece of your own – cookies are loved. Unlike most desserts, you can eat cookies on the run, at a party or pack them up beautifully in a tin for friends – they are pretty easy on any occasion to enjoy. Shortbread are traditionally British, but I am not British – I just love the crumbly sensation in my mouth when I bite into a buttery biscuit. This recipe is unique because I use ground oats for an extra hint of something special, and there’s no need to run out and buy a special flour – you just grind up some rolled oats in a blender. 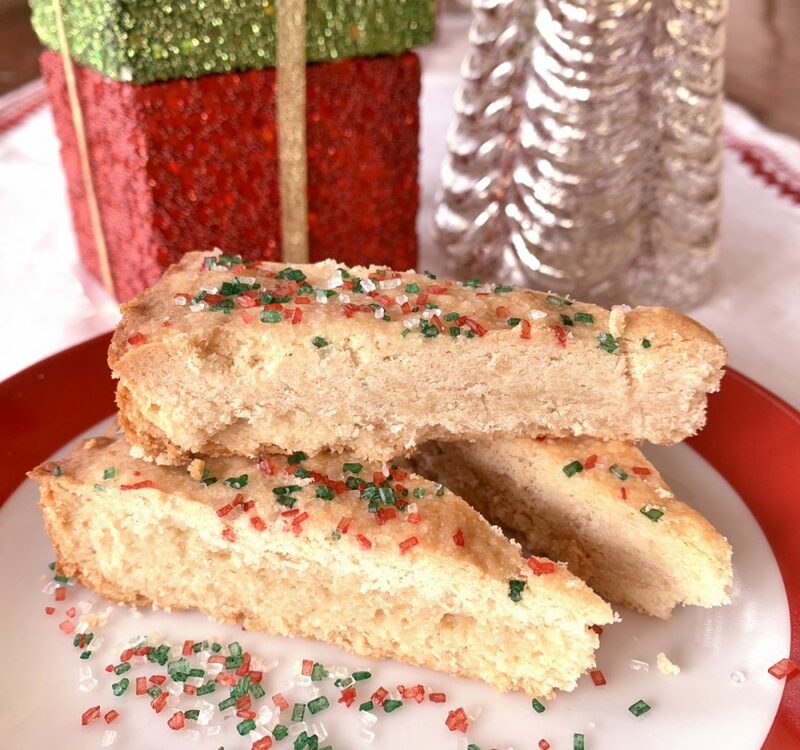 These wedge shaped cookies are dusted with holiday sprinkles for a hint of red and green, but you can easily switch it up and go blue, purple or yellow if that’s the theme you choose – even plain is fancy enough. So, happy holidays and enjoy these Oaty Shortbread with a warm cup of tea or a glass of champagne to celebrate the season. Preheat oven to 400 degrees. In a stand mixer or large bowl, combine flour, oats and salt – stir. Add butter and vanilla and mix on low until combined, about 1 minute. 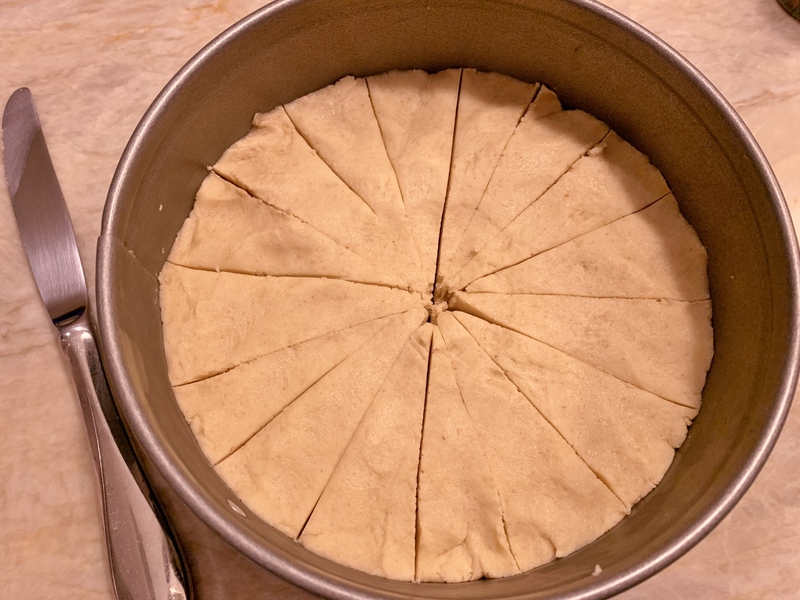 Press into an 8-inch cake or springform pan and using a knife, slice into wedges (you can cut them as wide as you like). Dust with sprinkles and press to adhere to dough. 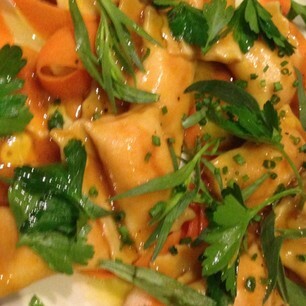 Bake for 10 minutes, reduce temperature to 250 degrees and bake for 20-25 minutes more. Remove from oven and let cool to room temperature. Slice perforated marks into wedges and serve or store in an airtight container for up to several days. Enjoy! 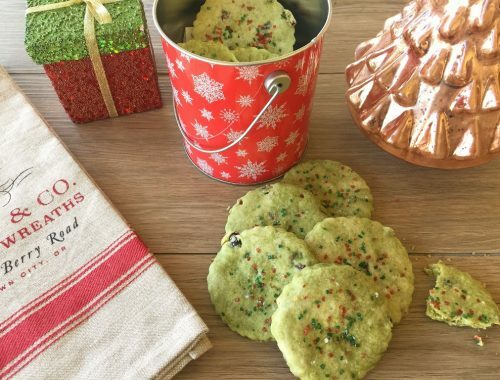 Marbled Matcha & Cranberry Shortbread Cookies – Recipe!